On a corner in the heart of Eixample in Barcelona, between Passatge Mercader and Mallorca street, stands a modern building that houses the El Mercader de l'Eixample, a traditional Catalan cuisine restaurant, which is also organic and a KM0 from Barcelona, which focuses on the produce that is used in the kitchen, its eco-friendliness, and proximity. 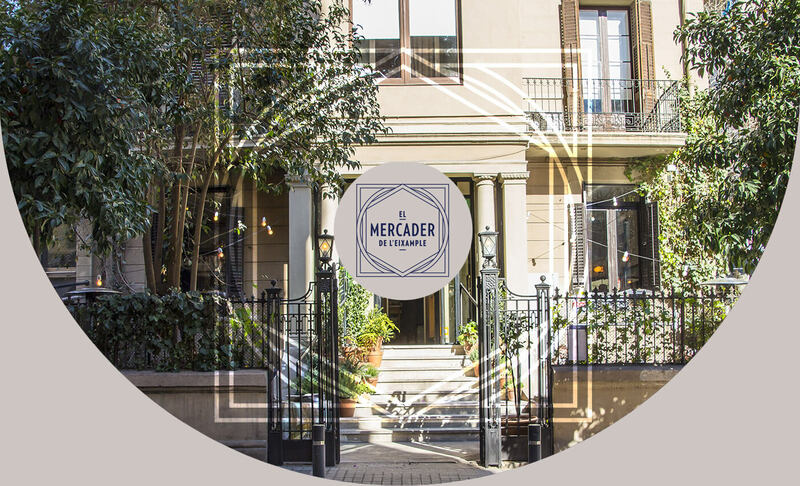 At El Mercader de l'Eixample we concentrate on products that come from farms that are close and organic, we use seasonal products, avoid using GMO's, use products from the Arca del Gusto and the Baluartes del Slow Food, and we cook fish that has been sustainably caught. In the kitchen at El Mercader de l'Eixample all plates are prepared according to the clean produce ethics, KM0 and Slow Food. There is nothing left to chance on the menu and this is why the calamari are caught in the wild because, besides being delicious to the taste, this method of fishing does not damage the sea-bed; the tuna is fished off of the Catalan coast which is why it is a product of proximity; in addition, the free range chicken comes from the Torre de L'Erbull de Tremp; meanwhile, all of the plates made with vegetables will be arranged according to the season, in addition rice is served, which always comes from the Delta del Ebro. The cod is also seasonal and, don't forget that every plate will be accompanied with a variety of products that change from what the ground provides during the various seasons. 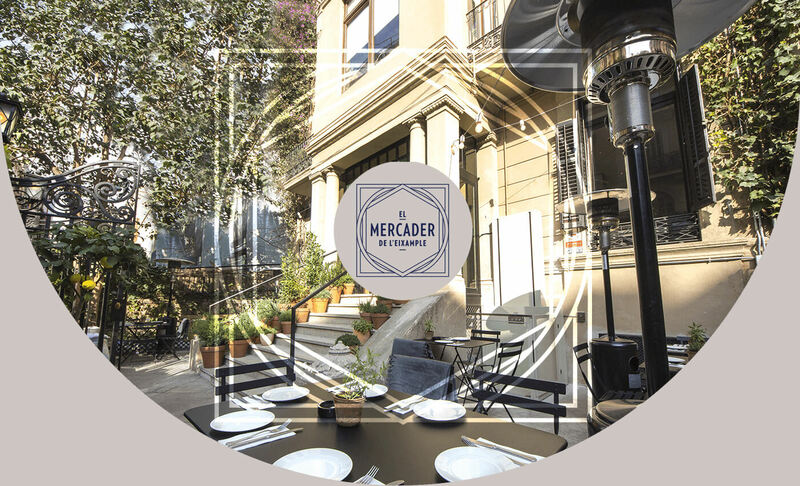 To accomplish this, El Mercader de l'Eixample has a 300 m2 organic garden in the Parque de Collserola, which is certified by the CCPAE and serves to supply a portion of the organic vegetables that are prepared at the restaurant. The "Sample from the Mercado bar" starter: traditional sausage, in this case it is organic and from KM0, the anchovies are from l'Escala; the olives are from Las Garrigas, the Iberian sausage or the chips are organic Meià. The second plate "The classics from the Mercader": the croquettes, cannelloni, fricassee, fillet steak or a marinated tuna salad. "Seasonal suggestions" that change according to the seasonal produce. Here you can choose from four plates created with vegetables, one with rice, one with legumes, one with fish and a seasonal dessert. The desserts are never served without the Catalonian cream, served with freshly toasted cookies, but there are also the Vilafranca Catanies, an assortment of cheeses with a quince and nuts, the Empordà donuts or the Girona Xuixo with hot chocolate. A magical private terrace, where there is room for around twenty-five people, it welcomes dinner guests. The bar is the most important center of the area. 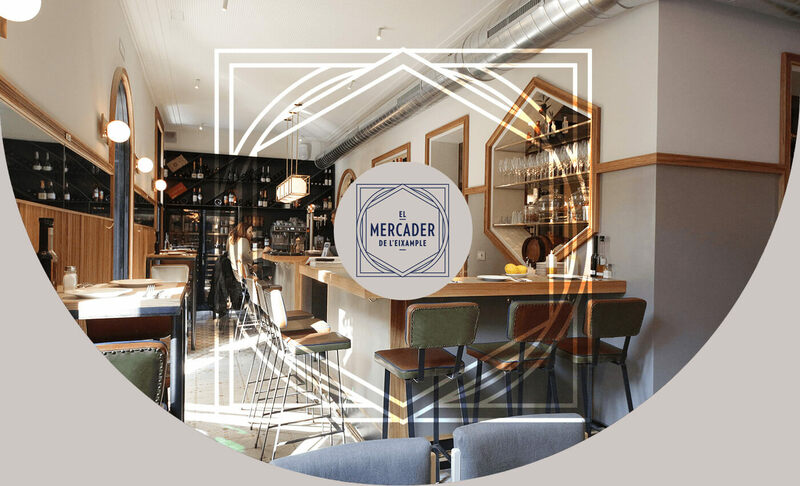 Its back wall gives an aesthetic wink to the different gastronomic options that El Mercader offers, with three geometric shapes. The circle represents the bar menu, where you can enjoy the tastes of delicious plates to sample; the square symbolizes the set menu with the permanent dishes, and the hexagon refers to the seasonal menu that keeps changing throughout the year. Behind this is the open kitchen that can be seen from every angle. A stairway takes you to a private lounge known as "La Checa del Mercader" with a capacity for up to 20 dinner guests. Slow Food is an international associate that "opposes the devastating effects of the fast food culture, which standardizes tastes and flavors". It promotes the benefits of consuming local foods, encouraging programs to educate on taste and it works to safeguard and promote the public awareness of culinary traditions. Kitchen hours: from Sunday to Wednesday, from 13 to 23:00 hrs. ; Thursday, Friday and Saturday, from 13 to 23:30 hrs.